Healthy Smile. Healthy Body. Healthy Life. Your oral health has a tremendous impact on your overall health. Sometimes, the right dental treatment also positively affects other conditions, including migraines, neck, and back problems, and even diabetes and heart disease. In most cases, if your gums and teeth are healthy, the American Dental Association recommends six-month dental checkups. When there are gum problems, we will want to see you at shorter intervals, following the guidelines set forth by the American Academy of Periodontology. Our team at Torrington Dental Care will tailor a program uniquely designed to meet your needs. If any problems arise suddenly, please do not hesitate to contact us – we will be happy to schedule an emergency appointment to take care of you. 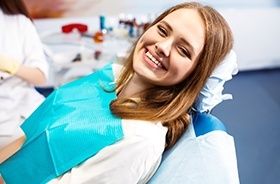 We strongly recommend that patients of all ages plan to attend at least two professional checkups and cleanings every year at Torrington Dental Care. 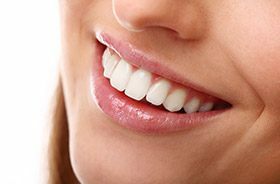 Maintaining a strong and healthy smile is a goal that lasts for life, and our team can provide you with invaluable assistance through these visits. We will comprehensively evaluate all oral structures, clear away accumulations of plaque and tartar, and assess the effectiveness of your oral hygiene routine at home. Dental sealants are designed to protect the vulnerable chewing surfaces of the teeth (particularly the premolars and molars) from decay-causing bacteria, which is likely to gather in their pits and grooves over time. This preventive measure is quick and painless to apply, and the seal should stay in place for years at a time. 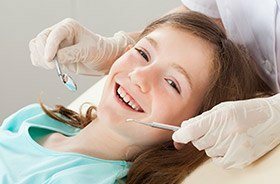 While our team most commonly recommends dental sealants for children who are still learning how to properly brush and floss, certain adults can benefit as well. Bruxism (habitual teeth grinding) affects younger and older patients alike, particularly those who experience quite a bit of stress daily. 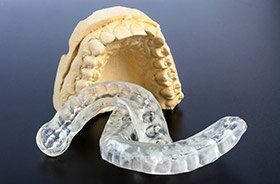 If this “bad habit” is negatively affecting your oral health and quality of life, a custom-made nightguard can work wonders by protecting the teeth from dangerous contact as patients sleep. Oral cancer is a dangerous and even deadly health condition – almost half of the patients diagnosed this year won’t be alive in five more years. This is because most cases are not positively identified until the cancer has already reached advanced, destructive stages. At Torrington Dental Care, we take our responsibility for our patients’ safety very seriously, which is why oral cancer screenings are a vital part of regular checkups. If any strange abnormalities are discovered after a thorough review of your oral tissue, further steps can be taken to provide a definite diagnosis. You can find fluoride all around you – this mineral appears in foods, plenty of oral hygiene products, and even most community water sources. Years and years of dedicated research have revealed a clear link between better oral health and regular, safe exposure to fluoride, especially for younger patients with teeth that are still developing. Here in Torrington, our team may recommend a professional fluoride treatment during regular appointments for an added boost of oral protection and revitalization. Periodontal disease (also known as gum disease) is a gradual infection that can eventually threaten the teeth if it’s left untreated for too long (as well as the rest of the body). Thankfully, our team offers several therapy options that can revitalize a patient’s oral health, including soft tissue laser treatment, scaling and root planing, and more. It’s never too early in one’s life to start prioritizing a healthy, happy smile. At Torrington Dental Care, we’re always happy to serve younger patients, helping them form a positive relationship with ongoing dental care that will hopefully last for many years to come. Our team will take a gentle approach with your son or daughter that’s ideally matched to their current age and emotional maturity, providing dedicated preventive services and restorative solutions as necessary to support their growing teeth and gums. 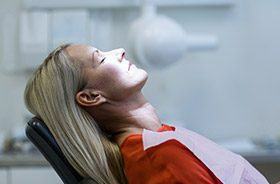 Do you regularly feel anxious or even fearful when a scheduled appointment at the dentist’s office is approaching? Have you had a negative experience in the past with a different practice and dentist? At Torrington Dental Care, we understand the difficult challenges that dental phobia can create for our valued patients – that’s why we do everything in our power to create a genuinely relaxing and compassionate environment. Oral sedation is also available upon request, which can help soothe patients without causing them to fall asleep entirely. TMJ Disorder (also referred to as simply TMD) may be present if a patient is regularly experiencing jaw pain, earaches, headaches, difficulty chewing, or clicking and popping sounds in the jaw joints. Our team can help diagnose the severity of this condition as well as provide dedicated therapy to restore harmony to the oral structures. 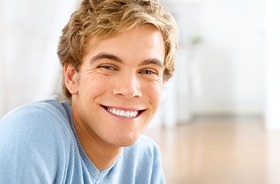 Possible options include an occlusal (bite) adjustment to spread pressure more evenly among the teeth or occlusal splint therapy to reset the jaw’s natural position.